Lot # 116: 1938 Goudey “Heads-Up” #266 Ervin Fox (PSA NM/MT 8) - “1 of 4” & HIGHEST GRADED Example! 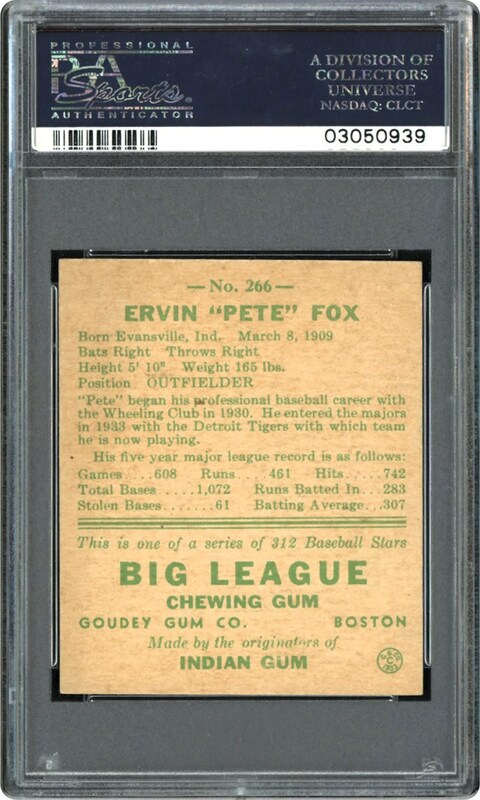 1938 Goudey "Heads-Up" #266 Ervin Fox (PSA NM/MT 8) - "1 of 4" & HIGHEST GRADED Example! This sparkling PSA NM/MT 8 Ervin Fox offering stands as one of only 4 examples at this hallowed tier with not a single copy graded higher. Indeed, it shares the distinction of being the finest of its kind! 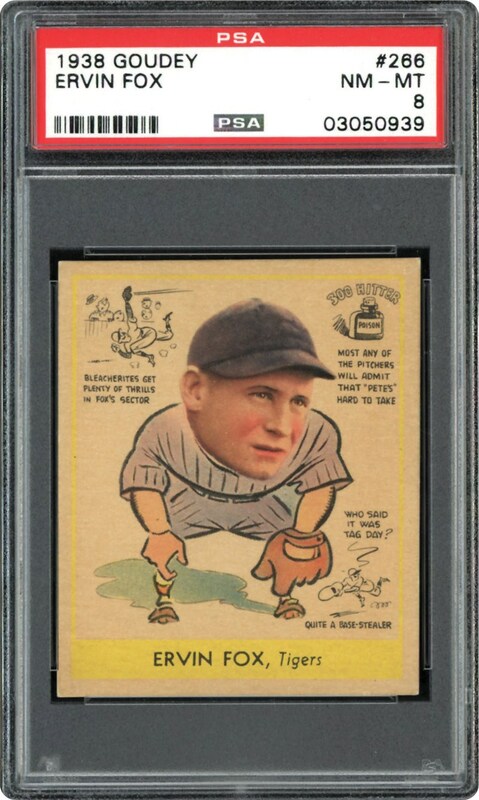 Extremely obscure for the grade, its well-centered image of the popular Detroit outfielder is encompassed by a radiant yellow frame with its sharp corner tips and popular bold black obverse side factory issued "anecdotes" the major highlights of this "best of the rest" masterpiece!